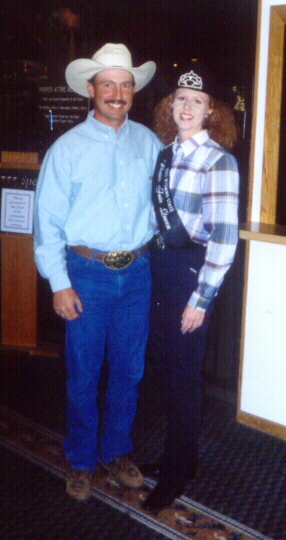 from the 2002 Miss Rodeo Wyoming Competition! 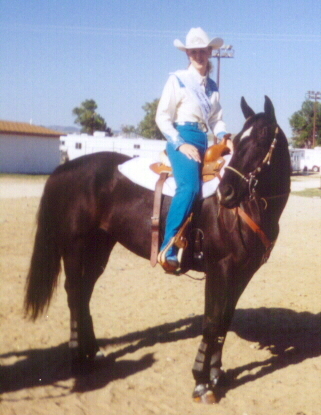 Black Boy and Heather Ready for Horsemanship! 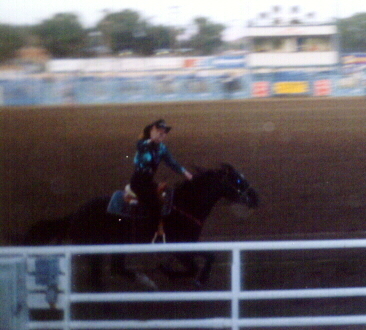 arena doing a queen lap during Grand Entry! 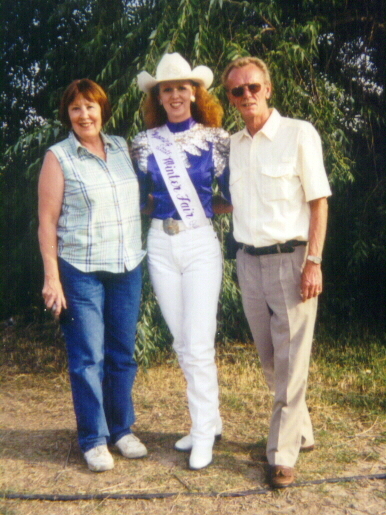 All of us Ready to Rodeo! Posing for a picture by the river before parade time. The Queen and her right hand man before the Luncheon. 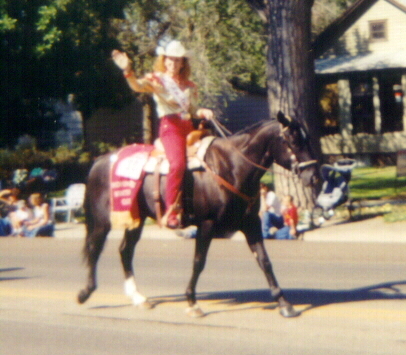 Slobber and I riding along in the Wyoming State Fair Parade! 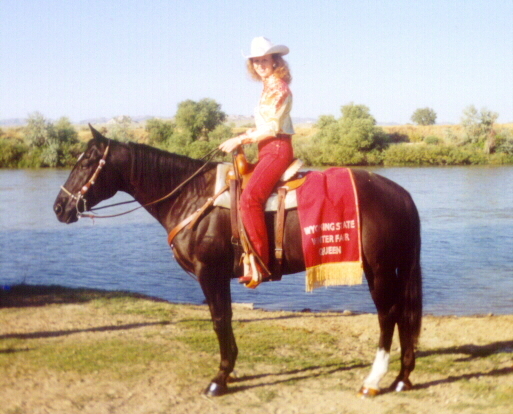 who was named Miss Rodeo Wyoming 2002!